Offering you a complete choice of products which include booti printed cotton fabric, printed garments fabric, stripe printed cotton fabric, booti print cotton fabric, stylish printed garments kurtis fabric and stylish panel printed fabric. Having a best industrial experience,we are introducing a quality tasted garments printed fabric,we offer these print beautiful designs,patterns and more colors for our most clients. 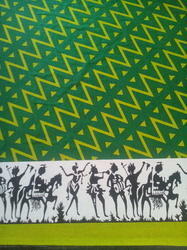 We are offered a quality tasted garment cotton procin printed fabric, the available on more colors. We are offing a quality tasted array of stripes print fabric,we offer is widely acclaimed amongst.the clients for its.availability in designs and more colors. We are offering a quality approved array of multi colore stylish panel printed fabric.the multi colored printed fabric.we offer is widely demanded amongst the clients.for it availability these.products are designed under the skilled expertise of our professional. We are offering a quality approved array of sharpness colored printed fabric. these product are made by using quality fabricater. 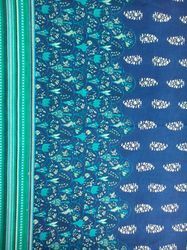 We are engaged in offering a quality tasted array of booti printed cotton fabric. The fabric we offer is available in designs and colors. We are offering a quality approved array of sharpness colored printed fabric. these product are made by using quality fabric.